With the Yeti Xtrem, you can transform your quick fly-downs into memorable soaring flights. Whether you’re into hike ’n fly, para-alpinism or just simple flights on a trip, the Yeti Xtrem has you covered. Comfort When you sit in the Yeti Xtrem, the first thing you notice is the comfort. So the next time you encounter great flying conditions, you can enjoy them for as long as you like. Weight The Yeti Xtrem is, of course, light. 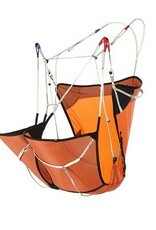 In fact, at 260g it’s one of the lightest harnesses on the market. The harness is constructed from the highest quality dyneema-webbed material, the same well-proven material that’s used in our Genie X-Alps harness. That means the harness is as light as possible without sacrificing comfort or durability. A complete flying experience The Yeti Xtrem offers refinements both on the ground and in flight. 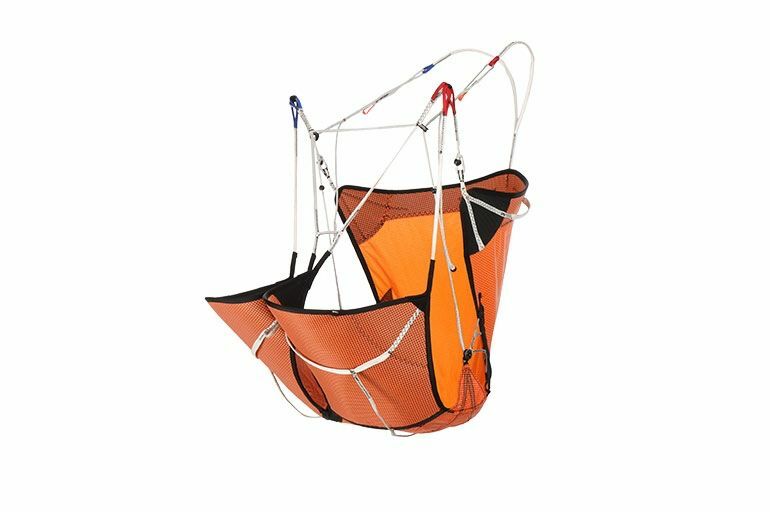 On the ground, you can now easily strap in with crampons or ski boots just by opening the leg straps. In flight, you can find your ideal semi-supine position, thanks to the carefully thought-out geometry and adjustments. You also get a real speed system that works efficiently across the whole range and ensures a comfortable flying position. Whenever you push the speed bar of the Yeti Xtrem 2, you will feel the difference compared to other lightweight harnesses.